Make your projects take flight with one of our fine products. 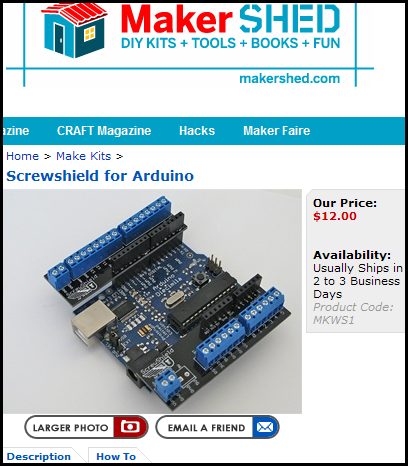 We’re very proud to announce that you can now purchase ScrewShield kits at the Maker Shed. This entry was posted on Monday, June 29th, 2009 at 5:16 pm and is filed under ScrewShield. You can follow any responses to this entry through the RSS 2.0 feed. You can leave a response, or trackback from your own site.